I haven’t cats or dogs or even kids at home…yet I relate to this somehow…. So, true. It’s possible that one of mine is lying on a stack of papers by my computer right now. . .
i have no doubt at all. we are just visitors and they are in charge. My cat believes that she belongs on my lap and not the laptop. yes, my cat, olive, is currently hanging on my lap and reaching out a paw every few minutes to tap the laptop keys. Even though my ‘co-worker’ isn’t with me any more, I had to laugh at this one. It’s so, so true. They know they want your attention, for sure, Beth. 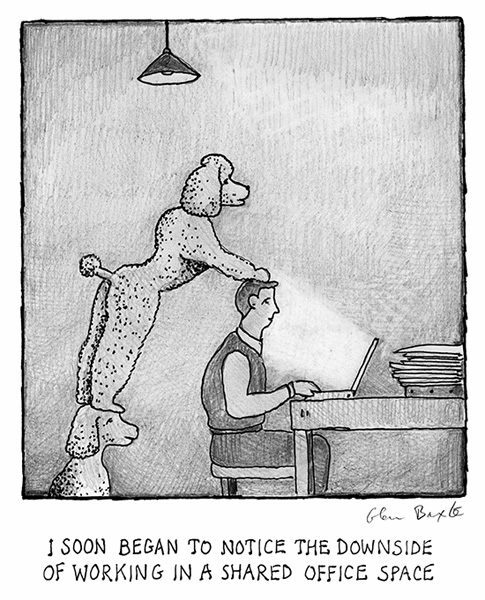 None of this seems unusual, especially when your muse is a dog. Hahaha! This brings back memories! They are over the top!